Last week, various public health and environmental organizations sued to compel the Environmental Protection Agency to initiate an asbestos reporting rule under the Toxic Substances and Control Act (“TSCA”). Plaintiffs seek to compel importers, manufacturers, and possessors of asbestos and asbestos-containing materials to submit reports on the amounts of asbestos imported and used, the sites where use occurs, the nature of the use, and the resulting potential for exposure of workers and the public. The complaint for declaratory and injunctive relief was filed in District Court for the Northern District of California by the Asbestos Disease Awareness Organization, American Public Health Association, Center for Environmental Health, Environmental Working Group, and Environmental Health Strategy Center. Plaintiffs’ firms Motley Rice, Simmons Hanley Conroy, and Early, Lucarelli, Sweeney & Meisenkothen are sponsors of the Asbestos Disease Awareness Organization’s annual conference. The EPA “shall promulgate rules” for asbestos reporting as the “Administrator may reasonably require.” Using its TSCA authority, the EPA promulgated the Chemical Data Reporting rule, which requires reporting of all chemicals imported and manufactured in amounts of 25,000 pounds or greater at a site. However, the EPA advised an asbestos manufacturer and importer in a letter that asbestos was not subject to the Chemical Data Reporting rule because it is a naturally occurring chemical substance. The EPA denied plaintiffs’ December 2018 petition to expand the Chemical Data Reporting requirements, designate asbestos as a reportable substance, and eliminate exemptions. The EPA reasoned that the Chemical Data Reporting rule did not apply to all asbestos manufacturers or importers, and reporting would not provide information that is not already known by the EPA. Following this denial, plaintiffs have a right to de novo review in a judicial proceeding within 60 days. This lawsuit says asbestos should be subject to the Chemical Data Reporting rule. This complaint is not alone. Last month, the Attorneys General of 14 states and Washington, D.C. petitioned the EPA to initiate similar rulemaking on asbestos reporting. If a judge rules in favor of the asbestos reporting rule, defendants that manufacture, import, or possess asbesto may be subject to the requirements of the Chemical Data Reporting rule. If an asbestos reporting rule is not initiated, plaintiffs and plaintiffs’ firms will surely continue to challenge the EPA. 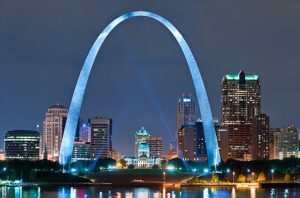 St. Louis, Missouri is a beautiful city with many attractions, but few want to be dragged there involuntarily. Yet that has been the case for a number of corporate defendants in recent years, who have been sued in St. Louis City courts in mass tort litigation by thousands of plaintiffs from all over the country, despite their having no connection at all with St. Louis or even Missouri. Why St. Louis? The City is a small urban geographical area in the middle of the greater St. Louis area (including St. Louis County), with a reputation for overly plaintiff-friendly juries. It holds a prominent place on the American Tort Reform’s list of “Judicial Hellholes,” which cites litigation “infused with junk science,” massive verdicts, excessive lawsuit advertising poisoning the jury pools, abusive actions, and blatant forum shopping. So it’s no surprise that plaintiffs’ attorneys in the talc ovarian cancer body powder litigation picked St. Louis city courts for one of their favored venues. Beginning in 2014, Johnson & Johnson and its talc supplier, Gordon & Rees client Imerys Talc America, were sued in numerous multi-plaintiff cases, with hundreds of out of state and non-St. Louis plaintiffs. Trial after trial occurred over the next four years, with verdicts in the tens of millions, and even in the billions, against Johnson & Johnson. The trial court repeatedly denied motions challenging jurisdiction, venue, and joinder. The court also denied motions to exclude what the defendants deemed (and other courts had found to be) unreliable scientific evidence that talc-based powders even can cause ovarian cancer. How did this all happen in St. Louis? It happened because when one St. Louis plaintiff filed suit there, dozens of out-of-state and non-St. Louis plaintiffs joined in her suit. The St. Louis judge ruled that if one plaintiff had proper venue in St. Louis, all the others could piggy-back on her suit no matter where they were from or where they were allegedly injured, thus establishing venue for everyone. The defendants argued that joinder could not create venue under Missouri law, but were shot down time after time. Motions, briefs, arguments, and pre-trial writs, all to no avail; trial after trial, with the court trying claims of non-Missouri plaintiffs for the most part. The 4-3 opinion reads strongly, as do the dissents. But there is no mistaking that the forum shopping that brought hundreds, even thousands, of plaintiffs into St. Louis city courts even though they had no relation to the forum should be at an end. And that is good news for those who don’t want to be dragged into St. Louis. A recent California Court of Appeal case, Ellis v. Superior Court, adds another challenge for defendants opposing a motion for trial preference in an asbestos case. Ellis dilutes the standard and shuts down ways for litigants to attack motions for preference. Plaintiff David Ellis moved for trial preference. It was based on Ellis’s declaration that he was age 75 and suffering from asbestos-related metastatic kidney cancer, pleural disease from exposure to asbestos-containing materials, and a host of other related illnesses. The motion was accompanied by declarations from Ellis’s attorney and expert, a cardiologist. The trial court denied Ellis’s motion for preference, ruling that the expert was not qualified to opine as to Ellis’s condition (in contrast to, for example, the oncologist who regularly saw Ellis). The court also ruled that the records considered by the expert were undated and vague. The California Court of Appeal vacated the trial court’s decision as an abuse of discretion. The Court of Appeal found that the trial court “overlooked undisputed, convincing evidence” that the expert had extensive experience in internal medicine and was therefore qualified to opine on Ellis’s condition. The court so ruled even though the expert last examined Ellis in 2016, two years before the motion for preference. The court also found that even though the expert only vaguely described the medical records in his declaration, that was enough: “[H]is 2016 report and his declaration identifies and discusses a number of the extensive records and tests he administered and/or considered” in treating Ellis. The Ellis decision further lowers the bar for preference. The same court recently decided Fox v. Metalclad Insulation, LLC, which also reversed a trial court’s denial of plaintiff’s motion for preference. The defense in Fox argued that plaintiff’s declarations failed to demonstrate that plaintiff’s health necessitated the granting of preference. The defense in Ellis did not dispute the severity of Ellis’s illness, but that Ellis’s showing of preference was insufficient. In Ellis, the expert’s declaration lacked the right type of medical foundation and was based on his examination of Ellis from two years earlier. However, the court’s decision indicates that plaintiffs can have any doctor submit a declaration, and can rely on vaguely-described medical records without plaintiff undergoing an updated medical examination. Ellis is (at least for now) an unpublished opinion, which is helpful to defendants because plaintiffs cannot cite it as precedent in California courts. Nevertheless, Ellis tells us where the courts are going on preference issues. If you have been in an asbestos trial lately you have probably heard the claim that “no one has ever identified a safe level of exposure to asbestos.” You may have seen power point slides sprinkled a smorgasbord of acronyms for regulatory agencies such as OSHA, NIOSH, WHO, IARC and more, all accompanied by the claim that they all say no safe level of exposure has ever been established. Leaving aside for the moment that all such pronouncements, if they occurred at all, would probably be hearsay, there is another fundamental problem with this contention. While it may be true now that everyone says that, it was not always the case. To the contrary, at least one notable regulatory agency said just the opposite, and said it repeatedly over many years. If one looks back to when the exposures were occurring and evaluates what was being said at that time, often a much different picture comes into focus than what the plaintiffs’ bar and their experts claim. As a case in point, look at the State of California’s Department of Industrial Relations General Industry Safety Orders (“GISOs”) Title 8, Chptr 7 CA Administrative Code. These regulations had the force of law. They existed as early as 1936. Violations were punishable by fines and could be prosecuted as misdemeanors. The law has provided that a branch of the Department of Industrial Relations enforce the safety orders as adopted by the Board. 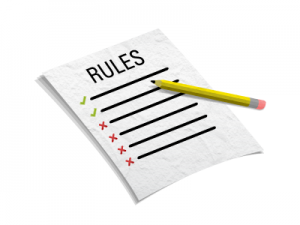 In effect, therefore, a company must comply with the GISOs and follow the standard set by the regulators. Plaintiffs’ assertion that no organization has ever declared that asbestos exposure is safe is factually and historically false. For example, in 1949, the GISOs indicated that asbestos exposures at a level of 5 million particles per cubic foot is “considered safe for men to work whether for brief periods or for full working periods daily for an indefinite time.” (Emphasis added.) Widening the hole in plaintiffs’ arguments, the 1949 GISO also stated that “differences of opinion are found among authorities. The [5 million particles per cubic foot is] given as an indication of current opinion and practice, doubts being resolved on the side of safety.” (emphasis added) Thus, even after considering all the differences of opinion available to the Department of Industrial Relations at the time, it still considered a certain level of exposure to asbestos as safe. Subsequent revisions to the GISOs create even a greater issue for plaintiffs. Similar language was used again in the 1955 revisions. As late as 1968, the following language was included: “The following table represents airborne concentrations of substances which will provide a reasonably safe environment for nearly all workers. The concentrations represent conditions under which nearly all workers may be repeatedly exposed day after day without adverse effect.” Again, the 1969 GISOs indicate that exposures of 5 million particles per cubic foot or less are safe. Defendants should be ready with these and other documents to rebut plaintiffs’ misleading generalizations during trial. Left unchecked, these statements can be detrimental to your case and be a factor for a plaintiff’s verdict. These type of statements are factually and historically incorrect, and the jury must be alerted to the true standard that companies were held to during the time of plaintiff’s alleged exposure. Damages Limited to Policy Limits? Not Quite. 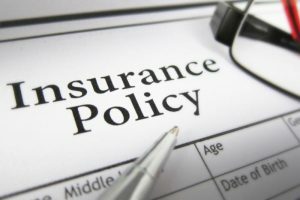 In a recent case brought under these statutes, the insurer ended up paying more than policy limits. Meleski v. Estate of Albert Hotlen. How did this happen? Plaintiff made an offer of judgment (like rule 68 offers in Federal rules-based jurisdictions) for one dollar below policy limits. 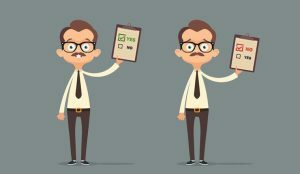 California’s section 998 (much like rule 68 offers in Federal rules-based jurisdictions), allows a party that makes an offer the other side does not accept to recover costs, including expert fees, if the party that does not accept the offer does not achieve a more favorable result at trial. (Cal. Code Civ. Proc., § 998.) The insurer did not accept, and the jury returned a verdict above policy limits. In Meleski, costs amounted to two thirds of the policy limit. Plaintiff accordingly sought payment of costs under section 998. The insurer argued that the offer of judgment statute applied only to parties and that the insurer was not a named party. The court of appeal rejected this argument, holding that the insurer was, though not named, nevertheless a de facto. The court reasoned that the insurer had “complete control of the litigation of this matter, it also was the only entity opposing Plaintiff that risked losing money in the litigation.” The court concluded by stating that “it is a legal fiction that the estate is the party. In actuality, [the insurance company] is the party litigating the case, inasmuch as it alone is at risk of loss and it alone controls the litigation.” Although a personal representative of the estate can be joined to the litigation, one was not in this case. The court then ruled that the statutory limitation of damages to policy limits did not limit an award under section 998. The Probate Code limit applies to damages, but a section 998 award is of costs incurred for litigation after denial of the offer, not damages. This decision gives 998 offers their full weight in circumstances where insurers might have thought the policy limit is the worst case scenario. As the court of appeal stated, recoveries under 998 are not damages, but rather are costs and therefore recoverable in addition to and despite the statutory limitation. This decision is a positive development for friction defendants in New York asbestos litigation and elsewhere. It is also authority for the broader proposition that the central issue is whether asbestos as a purported component of another product can cause disease -and not whether asbestos standing alone causes disease. Plaintiffs need to prove the former to establish general causation, and need to prove general causation before they can demonstrate specific causation. At the same time, the decision emphasized that it was based “on this particular record.” Thus, the decision may be the result of inadequate trial preparation on the plaintiffs’ part rather than some significant shift in asbestos causation law. We expect the plaintiffs’ bar to respond aggressively in working up causation proof in pending and future cases. This may include finding experts who will attempt to dispute the amount of chrysotile converted into Forsterite, or the toxigenic properties of Forsterite. 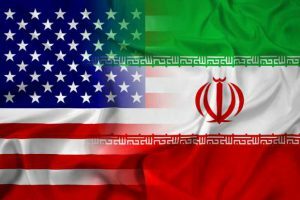 A judge in the southern California coordinated asbestos matters issued an order applying Iranian law where all of a California plaintiff’s alleged exposure to asbestos occurred in Iran. In Sabetian v. Air and Liquid Systems Corporation, Judge John Kralik applied Iranian law on (1) punitive damages, (2) strict liability, and (3) joint and several liability. However, the court declined to apply the Iranian (1) standard of negligence, (2) the cap on general damages, and (3) the formula to determine loss of consortium damages. Judge Kralik’s decision to apply Iranian law is a step forward for defendants who often face plaintiffs who now reside in California but allegedly were injured elsewhere. Judge Kralik’s decision relies heavily on McCann v. Foster Wheeler, LLC (2010) 48 Cal.4th 68, in which one of this post’s authors persuaded the trial court to apply Oklahoma law to a California resident suing a New York manufacturer for injuries caused by alleged exposure from asbestos-containing products in Oklahoma. In both McCann and Sabetian, plaintiff was a resident of California at the time of suit, but alleged exposure to asbestos elsewhere. Similar to other jurisdictions, California applies the governmental interest analysis to determine choice-of-law inquiries. The analysis involves three steps: First, the court determines whether the applicable rules of law are different. Second, the court analyzes each jurisdiction’s interest in having its own law applied to the dispute. Third, the court determines which jurisdiction’s interest would be more significantly impaired if its law were not applied, and applies that jurisdiction’s law. Because neither punitive damages or strict liability are recognized by Iranian law, the court ruled that defendants would be subject to neither in this case. Iranian law does not recognize joint and several liability unless there is an explicit statutory exception. Plaintiff argued that a statutory exception existed for those determined to be an “employer” under the Civil Responsibility Act. Here, the court decided that it would apply Iranian law, but that it would issue a post-verdict determination of whether plaintiff has shown whether any of the defendants were “joint employers” for the exception to apply. The court declined to apply Iranian law in three areas, not because the “government interest” analysis was different but because either the court could not satisfy itself as to what Iranian law was on that point, or because the Iranian law offended American norms. This decision offers hope that defendants will be able to apply the law of the jurisdiction in which the injuries allegedly occurred, rather than the law of a more plaintiff-friendly jurisdiction like California. Judge Kralik conceded that this issue had substantial grounds for difference of opinion and expressly invited appellate resolution. However, as of the posting of this article, plaintiff had not sought any appellate review. A not-so-welcome restatement that economic damages include nursing services gratuitously provided by family members. A welcome ruling that recoverable damages in a survival action are limited to damages incurred before death. 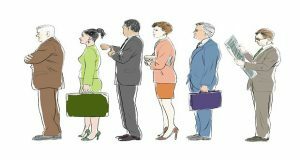 A reminder that a settlement offer to multiple plaintiffs will not qualify for cost-shifting, even if plaintiffs fail to “beat” the offer at trial, unless the offer is apportioned among plaintiffs and is not conditioned on acceptance by all. 1. “Doe” defendants, plaintiff’s knowledge and statute of limitations. Like most jurisdictions, California allows plaintiffs to amend their complaint to designate a defendant unknown to plaintiff at the time of filing the complaint, usually designated as “Doe.” (Cal. Code Civ. Proc., § 474.) An amendment made pursuant to this section will “relate back,” i.e. be deemed to have been filed at the same time as the original complaint, if made within three years of the original complaint, even if the statute of limitations ran in the interim. In Williams, plaintiffs knew before they filed the original complaint that their father died of mesothelioma, that asbestos was the cause of the mesothelioma, and that the father purchased defendant’s asbestos-containing products. They “knew most of the story.” This was enough that the Court of Appeal affirmed the trial court’s decision to dismiss the wrongful death claims as outside the statute of limitations. 2. Nursing services provided by family members to decedent prior to death are recoverable damages. Williams reaffirmed that California allows plaintiffs to recover the value of nursing services provided to the injured plaintiff by a family member, even in the absence of an agreement or an expectation of payment. 3. Future home care that would have been provided to a spouse is recoverable up until death, not after. Under California’s survival law, decedents’ personal representative or successor in interest can recover the decedent’s other pecuniary losses incurred before death. (Cal. Code of Civ. Proc., § 377.34.) Here, plaintiffs sought to recover the value of around the clock nursing care that decedent would have provided to his wife but for his death. Williams ruled that section 377.34 limited recoverable damages to those incurred prior to death. Plaintiffs relied on Overly v. Ingalls Shipbuilding, Inc. (1999) 74 Cal.App.4th 164, 171, where plaintiffs attempted to recover the value of household services as income post death, even though the dying husband was still alive. The Williams court found Overly inapplicable, because it did not deal with a survival action. Furthermore, the plain language of the statute only allowed for the recovery of penalty and punitive damages incurred after decedent’s death and thus intentionally excluded other categories of damages decedent would have been entitled to had he lived. The Williams court stated that survival action damages are narrowly limited to “the loss or damage that the decedent sustained or incurred before death,” which by definition excludes future damages. 4. Cautions for settlement offers to multiple plaintiffs. The offer fell afoul of “the general rule … that a section 998 offer to multiple plaintiffs is valid only if it is expressly apportioned among them and not conditioned on acceptance by all of them.” An exception exists when one or more plaintiffs have a “unity of interest such that there is a single, indivisible injury.” A unity of interest exists for example when spouses suffer injury to community property. There is no such “unity” as between multiple survival and wrongful death claimants. This does not mean a defendant cannot make such an offer, or that plaintiffs cannot accept one. It does however mean that such an offer will not shift costs to plaintiffs even if they fail to beat it at trial. The Williams decision is a double-edged sword for defendants. On the one hand, it puts plaintiffs on notice to timely replace “Does” or face statute of limitation issues. On the other, it increases the scope of recoverable damages in survival actions to encompass fees gratuitously provided by family members. 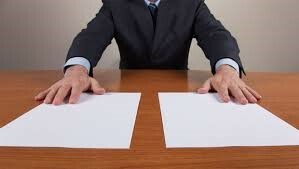 It also reminds parties (usually defendants) to carefully draft settlement agreements and appropriately apportion amounts to each cause of action and to each plaintiff without a condition for all to accept. It also shows the proper stance on the application of lost years’ damages, which hopefully shall limit the plaintiffs’ bar’s future attempts in claiming improper damages. So counsel, pay attention to the small facts and don’t cut corner with your settlements. In the famous words of Rodney Lavoie Jr. (survival Boston contestant), “this ain’t a campin’ trip. This is suhvivah!” (at least for your client’s pocket). On Sept. 5, 2018, an Illinois appellate court reversed a McLean County $4.6 million jury verdict against defendant Hobart Brothers Company on two grounds that offer hope to defendants in other cases. First, the court ruled that the defendant owed no duty to warn if defendant and the industry were unaware of a hazard in their asbestos-containing product at the time of plaintiff’s exposure, even if they were aware of the dangers of raw asbestos. Second, the court ruled that the mere presence of a defendant’s product at plaintiff’s workplace is insufficient evidence that the defendant’s product was a substantial cause of plaintiff’s mesothelioma. Plaintiff brought suit against defendant for failure to warn of the dangerousness of its product—Hobart 6010 welding stick electrodes, which contained chrysotile asbestos in the flux. Plaintiff himself did not use the Hobart 6010 welding rods. Rather, he testified that for seven months in 1962 and 1963, stick welders using those rods worked on a grated mezzanine above his work area, and that the used stubs of the stick welders’ 6010 welding rods would fall through the grated mezzanine floor, onto the floor below where plaintiff performed spot-welding. Plaintiff also testified that each day, he had to walk by the stick welders and over the mezzanine floor which was littered with welding stubs. 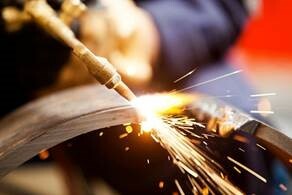 The appellate court stated that whether the defendant had a duty, in 1962 and 1963, to warn about its welding rods depended on whether, in 1962 or 1963, knowledge existed in the industry of the dangerous propensity of the defendant’s welding rods. Although there was evidence that, in 1962 and 1963, knowledge existed in the industry of the dangerous propensity of raw asbestos, the court made “a crucial distinction” between raw asbestos and welding rods containing encapsulated asbestos. Knowledge about raw asbestos was not evidence that knowledge existed in the industry that this product—the Hobart 6010 welding rod—was harmful. The appellate court ultimately found that the record contained no evidence of contemporaneous knowledge in the industry that welding rods with asbestos encapsulated in the flux were hazardous. The lack of knowledge resulted in a lack of duty, entitling defendant to judgment notwithstanding the verdict. The appellate court found that the defendant was likewise entitled to a judgment notwithstanding the verdict because the record was devoid of any evidence that defendant’s welding rods were a substantial cause of plaintiff’s mesothelioma. The appellate court ruled that the Thacker frequency, proximity and regularity criteria had not been met. For instance, although plaintiff worked on the second floor and the stick welders worked on the third floor, his work station was not directly below the grated mezzanine floor where the stick welders worked, but rather off to the side. Further, the appellate court noted that plaintiff testified that the stubs from the stick welders on the third floor fell through the grates of the mezzanine floor and onto the second floor, but that plaintiff did not testify that the stubs fell into his work area. Although plaintiff testified that his workplace was dirty, there was no evidence that the dirt indeed contained asbestos. Moreover, plaintiff never testified to seeing clouds of dust in the workplace (unlike in Thacker where various employees testified that dust from the sacks of raw asbestos was continuously visible in the air of the plant when viewed in bright light). Though this case involved the specific product of asbestos-containing welding rods, the potential effect on future failure-to-warn cases involving other asbestos-containing products is much broader. Importantly, the appellate court focused on the industry’s knowledge of the dangerous propensity of the manufacturer’s product itself, not on the industry’s knowledge of the dangerous propensity of asbestos generally. In so doing, the appellate court distinguished the inquiry as a product-specific issue, not as a more general asbestos issue. Going forward, each failure-to-warn case will need to be carefully considered based on its individual facts regarding the product, time frame and industry knowledge of the hazards of the product at issue at the time of exposure to determine whether a duty existed. Furthermore, this decision may likely impact the scrutiny of causation evidence. In its application of Thacker, the appellate court discussed the need for a plaintiff to prove more than just frequent, close and regular contact with a defendant’s product; a plaintiff must also prove that he not only inhaled respirable fibers from the defendant’s product but also inhaled enough of the fibers that one could meaningfully say the defendant’s product was a substantial factor in causing a plaintiff’s disease. Additionally, the appellate court’s decision peripherally touched on alternative exposures. The extent of this decision’s impact in asbestos-related lawsuits remains to be seen. Nevertheless, it is a favorable ruling for defendants in asbestos litigation. Read the full opinion in McKinney v. Hobart Brothers Company here.